You are on this page either because you are searching for information on how to setup a water factory, looking for clients who needs your pure water service, or a pure water producer in need of relevant information about the business. Whichever category you fall into, the information provided in this post will help you either to start rightly, or get contact that could help you do it better. Now, here is the comprehensive list of what you need to know before starting a pure water production business in Nigeria (We use Lagos/ Ogun in our study). You can leave comments in the "comment box" below to share your view, or send an e-mail to pure-water@ackcityconsultancyservices.com for more enquries. To start any business, be it pure water business, supermarket and any other online business, you must start by first writing a proper BUSINESS PLAN. A Pure water Business plan will give you a detailed plan for your pure water business startup, operational objectives and strategies. Other things to expect from your Plan includes, operating costs, marketing, advertising and sales strategies, profit margins, cost of equipment, staffing, regulations and lots more . Your pure water business plan can be used for obtaining loans, get interested investors and for other analytical purposes. It can be modified as your business grows. You can write your pure water business plan by yourself, if you already know the technicalities required in setting up a water factory, it is however advisable to hire a consultant to write one for you. One very important thing you must consider before setting up a pure water production business is whether you are planning to rent a space or you are building your own factory. Most of the clients I have had opportunity to work with, build their own factory, which is much cost-effective, and time saving at the long run because it will reduce your total running cost. 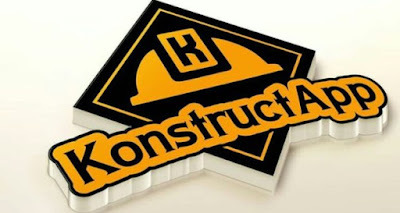 Your factory can be built on a plot of land or even half a plot, depending on your budget. The larger the space of the factory, the better for the business. I have seen clients make mistakes of setting their pure water factory on a small plot, and the whole business environment feels so choked up, from the production room to the storage is all choked that you can hardly have space to park any truck or other vehicles. I strongly advice factories to be built on a full plot of land, to allow for a future expansion of your business so you don't end up losing business to competitors. To buy a plot of land in Lagos, you need between N1.5million to N4.5million or more, particularly in areas like Ikorodu, Epe, Agbado and other developing settlements in the state. You can get land to buy at cheaper rates in other states like Oyo, Kogi, Ondo, Kwara and others. You can find out from agents. When you have acquired your land, and built your factory, you need to budget up to N5million or more for a small to medium scale pure water production of about 1000 bags capacity per shift and between N10 million to N20 million for a medium to large scale pure water production. Now that you are through with your building, structuring and borehole, you next point of call is to consider your distillation process. Its the Distillation system you chose that will determine whether people will like the taste of your water or not. However the system are not the same in terms of cost and effectiveness. Reverse Osmosis is one of the most widely used and easier to install system. It produces water with highest level of purity and very perfect for your pure water production if you can afford it. Most pure water makers in Nigeria use just ultra violet bulb for purifying their water which is not that effective but cheaper. The automatic sealing machine is used for the sealing of sachet water while the bottling line is used for the production of bottled water. 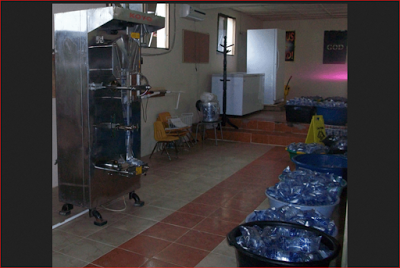 Without these equipment in your factory you can never have your sachet water or bottled water. Take note that machines used for bottling line is totally different from the automatic sealing machine, so if you are going into sachet and bottled water, you need both machines in your factory. You can start with one automatic sealing machine, and one bottling line production machine depending on the volume of water you intend to produce per day and your financial capacity. Dingli sachet water sealing machine type is very ideal. This machine is high precision packing machine and the one of most advanced liquid compound packaging machine available, which stands at the size of a double door refrigerator, three side sealing and intermittent. It can automatically complete Bag making, filling, sealing, printing, cutting and counting. Controlled by microprocessor and automatic photocell. Request For our Pure Water Business Plan to see the current market prices of Dingli and other machines needed in your pure water factory. You can hardly do a pure water business without having a truck or vehicle for carrying your products to where they are demanded. I have mentioned it over again in my past articles that you need to get a good truck that will not breakdown when it is needed. You need a good truck that can go into any road where supply is needed. This is one of the most important aspects of your pure water business just like every other business that will survive. You will need minimum of between seven to ten persons to work in your factory for a start then increase with time as the demand may be. Operator/Manager(1): Your production manager should either be a food nutritionist, food technologist, chemical scientists, microbiologist or a water engineer. The production manager may double as cashier unless you can afford extra personnel which may not be necessary. Driver(1) and (1) Attending Loader: The driver. Depending on how large you plan your factory to be, you may also need one marketer and a security guard. *Please note that all factory workers are to be tested (handlers test) before employed, these workers are expected while at work to always be on their factory sandals, overall, nose cover and hand gloves. Please visit a NAFDAC office to obtain and fill the relevant forms. The process will take you as much as three months and up to six months before you get the certified. You need an overhead tank and treatment tanks. Tanks costs between N40,000. You need up to 3 tanks in your factory. Our clients includes, busy entrepreneurs, entrepreneurs in the diaspora, business starters with little or no idea on how to start and others who can rely on our expertise to give them the best business advice in their area of interest.